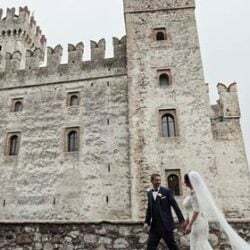 You may already read our article about a lovely wedding in the beautiful Castle of Malcesine on lake Garda. Malcesine is a pretty little town on Lake Garda. Over here you can admire charming Castle whch is also available for legal civil ceremonies outdoors overlooking the lake. 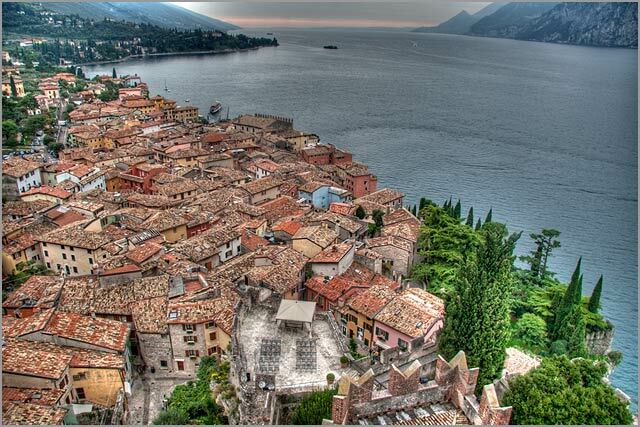 However I would like to show you today an other side of Malcesine. 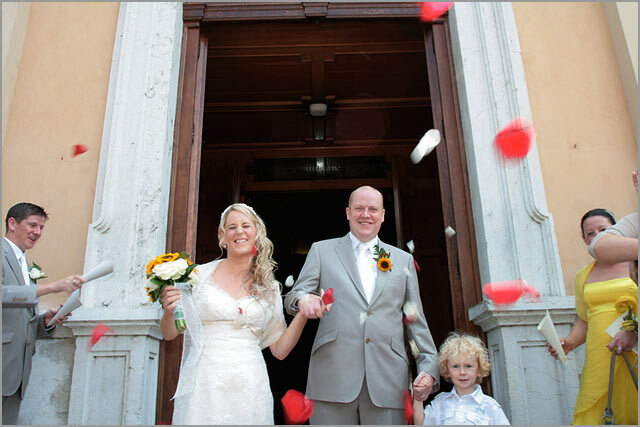 Tracey and Stephen came to Malcesine for a romantic holiday in 2009, and they fell in love with the place. No doubt they wanted to have their wedding here! 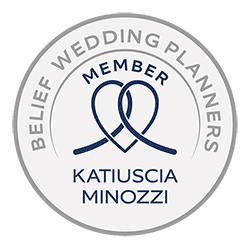 They wanted a religious wedding instead of a civil one so we found for them a private, intimate venue for their 40 guests wedding. First, they looked around by themselves to find a venue that could answer to their needs of privacy, intimacy. 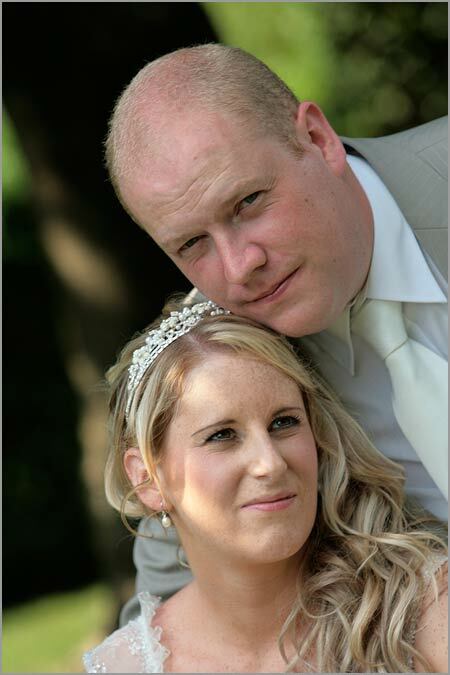 As they couldn’t find the location of their dreams, Tracey and Stephen contacted us for help. 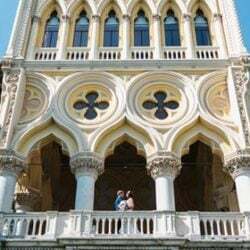 After long search, we have found the perfect venue for them, and we also found the authorization of Don Giuseppe of Parish church of Malcesine to have a religious ceremony over here. The planning could start in details for 20th of July 2010, the day of the wedding! A one year of planning flew away quickly to reach the big day. While girls were having their hair done to hairdresser, boys were enjoying a refreshing beer on the lakeshore. The church was decorated with a lot of sunflowers and white roses, to represent sunshine, happiness and deep optimism of the couple. 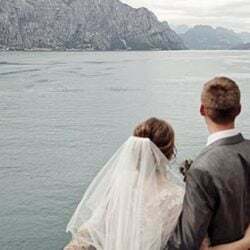 The Intimate, and very romantic ceremony was conducted by Don Dominic, who was so kind to come to Malcesine and celebrate the wedding in English, allowing the couple and the guests to feel like home. A refreshing, rich aperitif waited the newley weds and their guests at the bar side of the church after the ceremony. Italian prosecco, hot and cold canapés, and little delicious fingerfood prepared by the bar owners were the main attracion! Then we took a comfortable, air conditioned bus to reach the wedding venue kept secret as a surprise! It was an amazing and well hidden private villa behind the mountains, in the green countryside. Wow -effect was really guaranteed with its Arabic style! 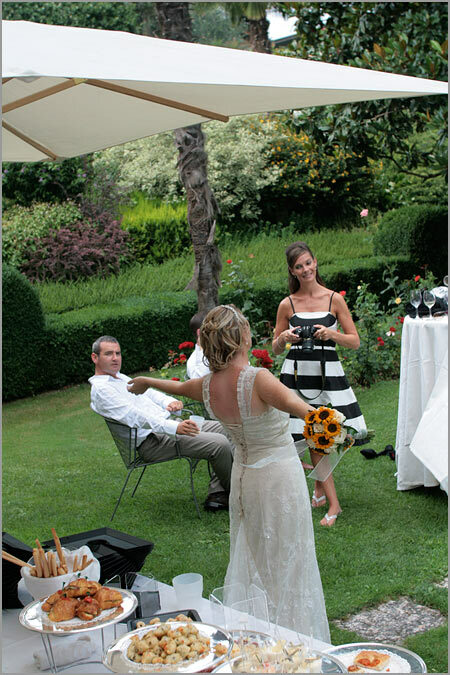 The beautiful villa had also a wide garden, where children could run play and parents could be relaxed too. You can imagine how happy they were when they also found a huge inflatable slipper! The reception was arranged outside in the green, under protecting shade of trees, enjoying delicious food prepared by a skillful catering. Dancing and music completed the event, together with a little sweet “performance” of the kids on the dancefloor, and open-bar opened until late night. 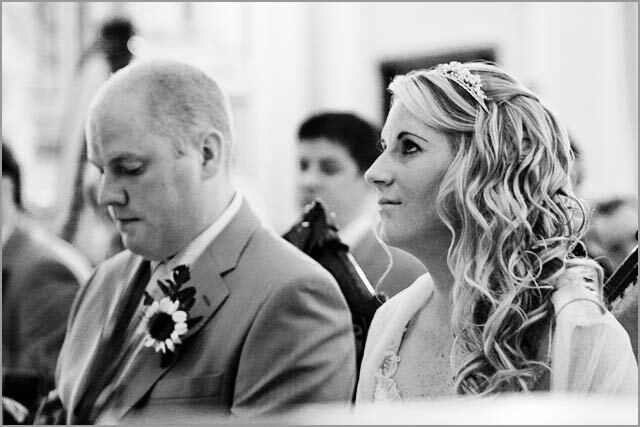 We can ensure this was not the typical Malcesine wedding, but we are sure we were glad that we could help Tracy and Steve to realize their dream! 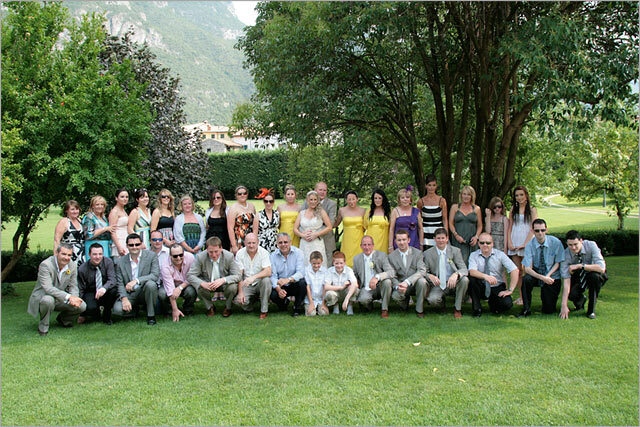 For any information about wedding on Lake Garda please CONTACT US. 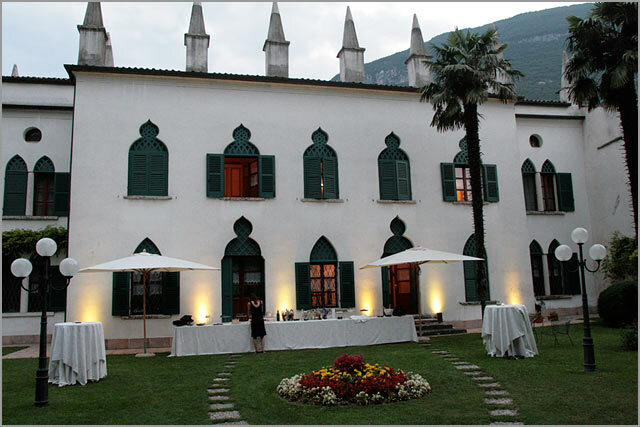 I m interested to have my wedding in lake Garda early September if possible. 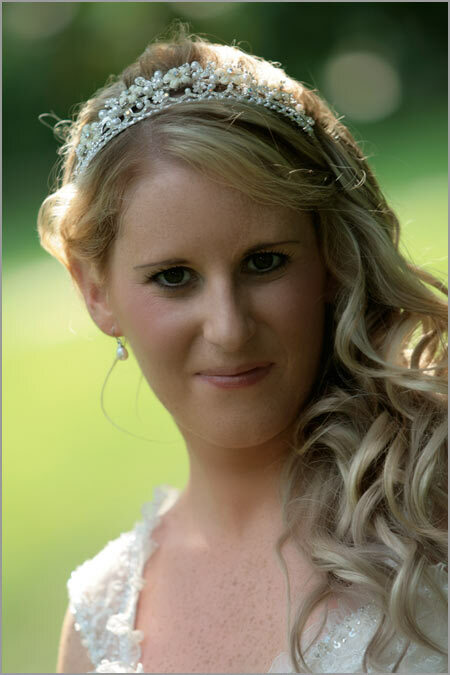 What we after is a catholic ceremony fallow by a beautiful location for the venue. We have around 70 quests. We open to suggestions.